If you want big, the 2017 Ram 2500 HD Mega Cab is without peer — it has the largest cab in all of truckdom! It is also one seriously capable rig, and this holds true regardless of whether it is towing, hauling or out for a night at the opera. What’s new for 2017 is the addition of the 4×4 Off-road package on all 2500 derivatives. It includes Bilstein mono tube shocks, hill descent control, skid plates, tow hooks, a limited-slip rear differential and LT275/70R18 off-road tires. This brings much better off-road performance without detracting from the 2500’s workhorse thrust. The 2500 tested featured a 6.4-litre Hemi V8 with Ram’s Fuel Saver Technology. It deactivates four of the eight cylinders at idle and when engine loads are light, which cuts fuel consumption. The Hemi also produces a ton of power — 410 horsepower and 429 lb.-ft. of torque. This lot was fired to the road through a six-speed automatic transmission and all four wheels. The part-time electronic shift-on-the-fly transfer case gives the driver access to 2WD, 4WD High and 4WD Low. This combination gave the Ram two very different personalities. During an off-road trek, the brawn and 4-Low gearing gave the Ram the wherewithal to haul through some seriously gnarly trails and a water hole without breaking a sweat. Conversely, on the on-road loop it provided rapid acceleration — the Hemi propelled the 2500 Mega Cab to 100 km/h in 8.9 seconds, which is pretty darned quick for a full-size truck! It also has HD credentials with a payload of 1,320 kilograms and a maximum towing capability of 6,913 kg with the 4.10 rear axle in place. Where the 2500 Mega Cab truly impressed was the ride quality. In spite of its heavy-duty focus, the ride proved to be remarkably civilized — it is difficult to build comfort into a truck designed to carry large loads. Where the Ram differs from most is the five-link suspension and rear coil springs. This and the mono tube shocks kept things flat and unflustered. Even mid-corner, on a rippled section of road, the back end resisted the urge to washboard (skip) out. This certainly inspired driver confidence. Off-road it improved axle articulation, which kept the wheels in the dirt and the Mega Cab plodding through the mire. There is an optional load-leveling rear air spring option. It takes things to the next level and should be seriously considered. The lone nitpick was the turning circle — at 14.3 metres, it takes a lot of space to wheel the Ram around. The Ram’s cabin is rich beyond expectation when properly equipped. The highlights are the optional reconfigurable dash and 8.4-inch Uconnect touchscreen. The former gives the driver fast access to a ton of data including fuel economy, trip info, trailer braking and vehicle status. The latter is an all-encompassing infotainment system that controls the climate, audio, phone and navigation functions, among other things. The large, logically placed icons and quick response times set it apart from most — it’s child’s play to use, which makes pairing a phone so simple it puts the competition to shame! It should be considered a mandatory purchase. The 5-inch Uconnect screen in the tester functioned well, but paled when compared to the larger unit in the full-zoot model. On a brighter note, the comfortable armchair-like front seating delivered surprising support during the off-road excursion and there was a much-needed rearview camera. It’s needed because there’s a lot of real estate between the driver and the tailgate — the Mega Cab’s wheelbase stretches 4,064 millimetres! The utility and flexibility is there for all to enjoy. There’s a large central storage box along with tons of cubbies, pockets and twin gloveboxes. Then there’s the rear seat; the Mega Cab is 280 millimetres longer than the Crew Cab, which makes the rear environment limo-like. With 1,099 mm of rear leg space, I could barely touch the front seats with my feet even with the driver’s seat set all the way back. There’s also some additional storage behind the rear seats, and when folded down there’s a large flat storage area that is easily accessed through the large doors. Behind that lot the Mega Cab arrives with a 6-foot-4 box and RamBox cargo boxes. These two storage areas, which lock through the remote fob (thank you! ), occupy the space above the rear wheels. As well as holding work tools, tow straps and so on, it allows 10 cases of one’s favourite beverage — drain holes look after the melting ice. Thankfully, the design leaves enough space between the wheel well intrusions to carry a standard 4×8 sheet of plywood. It all combines to make the Mega Cab a hoarder’s dream — there’s a place for everything and then some! The 2017 Ram 2500 HD not only delivers serious towing and hauling capabilities, it proved to remarkably refined in everyday driving – so much so, it rides and drives with more civility that the 1500. Pricing for the 2017 2500 HD models has yet to be announced. Model: 2016 Ram 1500 EcoDiesel Laramie Limited 4×4 Crew Cab. Drivetrain: 3.0L V6 EcoDiesel with 240 HP @ 3,600 rpm and 420 lb.-ft @ 2,000rpm. Infotainment: Uconnect 8.4 with navigation, touchscreen. Reverse camera, Bluetooth, USB, SDCard playback. Apline nine speaker surround with subwoofer. Comfort: Fully ventilated heated and cooled front seats. Heated ventilated rear bench. Full leather seating surfaces. In 2014, Ram introduced something revolutionary in the half ton pickup market: a mid-duty diesel engine. Two years on, the EcoDiesel still leads the segment for torque produced and overall fuel economy. Now, with the tier topping Laramie Limited trim, high end truck owners have access to the class leading mileage of the EcoDiesel engine. Featuring full leather interior, the Ram 1500 Laramie Limited is adorned with interesting interior design flourishes. Matching embroidered stitching in seats, doors and center console add to the classy feeling of the interior. Road noise is muted, though still present at highway speeds. Ride of the Ram 1500 Laramie Limited is softened by the standard four corner air suspension, easily making it the most comfortable riding truck on the market. Ride height is fully adjustable: from low loading height to off road. The truck will automatically raise or lower ride height while driving, achieving optimal aerodynamics at highway speeds. Punctuating the experience is the EcoDiesel engine, mated to a smooth, eight speed transmission. Both perform exceptionally well. Mileage is exceptional for a full sized pickup, as is the shifting performance of the transmission. It’s difficult to compare the performance of the Ram 1500 Laramie Limited EcoDiesel to its gas engine competitors, or Hemi powered twin. A diesel’s driving dynamic is very different than the driving dynamic of a gas engine. While the EcoDiesel lacks the acceleration and performance punch of gas powered competitors, it’s no slouch. At speed acceleration is good, taking advantage of gobs of low end torque. There’s plenty of power and pickup available when asked, if slightly delayed. However, the somewhat muted driving dynamics lend well to one of the Ram 1500 Laramie Limited’s strengths: mileage. An eight speed transmission performs flawlessly. Shifting under acceleration and standard city driving is smooth, barely noticeable. Engine power is managed well by the transmission, keeping the revs in the sweet spot during acceleration, but settling things down nicely while cruising. Easily the best part of the Ram 1500 Laramie Limited is the mileage it achieves. Despite being a fully loaded, full cab, half ton pickup, test mileage finished with a 24 MPG (9.7L/100km) average; better than the 22 (10.6L/100km) MPG combined EPA rating. Testing was split between approximately 75% highway and 25% city driving. Ram’s EcoDiesel easily achieves the posted 26 MPG (8.9L/100km) highway mileage, and gets 19 MPG (12.2L/100km) in city driving. Other tests have shown the EcoDiesel can easily make the combined posted EPA mileage even while towing 6,000 pounds. Total test distance was 525 miles (850km), and only required one fill up at the conclusion, consuming 20 gallons (78 liters) of fuel. In a full-fledged pickup like the Ram 1500 Laramie Limited, these are some astonishing numbers. Ride in the 2016 Ram Laramie Limited EcoDiesel comes courtesy four corner air suspension. In addition to adding practicality, the suspension cushions ride, and the results are excellent. Road bumps are easily soaked up by the air suspension. Long haul highway cruising leaves passengers, and driver, without any road fatigue. Air suspension is standard on the Laramie Limited, but available as an option on most other Ram trims. This is a highly recommended option. While the ride is soft and comfortable, the driver still has good feel of the road through steering wheel feedback. Turning radius is a bit wide, given the shorter length of the short box. Seating comfort for driver and passenger is typical of the luxury truck segment. Leather surfaces are perforated, though not as soft to the touch as it appears. Seating is well padded, providing comfortable adjustability for driver and passenger. Memory settings allow for two unique driver positions to be stored. Rear bench seating is also perforated leather surfacing. Center row seating is moderately comfortable. Seat stiffness, combined with the sunroof bulkhead, makes for shorter headroom for the third passenger. Legroom is good for adult passengers. Heating is available for rear passengers behind the driver and passenger. Ram’s four corner air suspension may seem like a bit of a gimmick, but the effects on ride prove it’s more than that. Loading a truck at full height can also be tricky, which the height adjustability of the air suspension also addresses. There is some practical gain in dropping the overall bed height a few inches while loading. Ram lacks the tailgate or bumper steps that its competitors have, but access is reasonable at load height. Front and rear sensors assist with parking in tighter spaces, but a 360 degree camera does feel missing. Comfortable truck drivers won’t miss the visibility, however, as the Ram Laramie Limited’s side mirrors do a great job when parking. Wide turning radius makes some parking lot navigation tricky, taking it into account when picking spots helps mitigate the issue. Ram has made excellent use of the interior space. Cubby and storage bins are found everywhere. A large, dual level center storage bin can fit surprisingly large items, from coolers to small bags. Rear storage is located under the bench, where Ram has opted to use compartments instead of open under seat storage. While this does keep items from rolling across the floor of the cabin, access is difficult with child seats installed. There are three LATCH anchor sets in the rear of the Ram Laramie Longhorn, and its width allows three full child seats to be installed relatively easily. While the Ram’s EcoDiesel does have less towing capacity than many other half tons, it’s capable of towing 7,500 pounds in test configuration. For most truck owners, this should be plenty. When configured, the EcoDiesel can achieve a maximum 9,000 pounds towing capacity. Ram, as a member of the FCA family, shares its uConnect 8.4 system with many of the other Chrysler products. uConnect has always been a capable, well designed system, something which has seen significant improvements throughout it life. In the 2016 Ram Laramie Limited, uConnect is the best yet. Simple, fast navigation supplemented by accurate and easy to use voice recognition. Bluetooth pairing is among the easiest tested, and music plays through a capable nine speaker Alpine surround system. Complimenting uConnect’s large screen, there is a feature rich driver information panel centered between the gauges on the dashboard. Larger than most, visibility of navigation directions in the information panel is never an issue. Lacking in the Ram Laramie Limited are some of the electronic driving aids which have saturated the market. Blind spot monitoring, lane keep assist, and adaptive cruise control, all technologies FCA has elsewhere in their fleet, are missing from the Ram Laramie Limited. Given the high end feature set the Laramie Limited offers, this feels like a missed opportunity. 2016 Ram 1500 Laramie Limited EcoDiesel is the third year of the latest generation of Ram, launched in 2014. Reliability data comes from truedelta.com, a collection of owner surveys for thousands of vehicles. Scores are based on repair trips per 100 vehicles, with small sample size data omitted. Ram 1500, both EcoDiesel and Hemi models, score an average of 31 repair trips per 100 vehicles, giving it an “average” rating. When compared with many other similar American luxury trucks, the Ram 1500 Laramie Limited rates slightly better overall for reliability. More than 90% of problems have cost less than $499 to repair. For 2016, Ram has packed a lot of standard luxury items into the Laramie Limited. With the EcoDiesel engine, a silky smooth transmission, and very comfortable air suspension ride, these exclusives help take the Ram Laramie Limited from a good truck, to an excellent truck. For buyers looking for a competent, mileage superior hauler with sedan like ride comfort, the 2016 Ram Laramie Longhorn is the only option. AUBURN HILLS, Michigan — The new 2016 Ram 1500 Stinger Yellow Sport limited-edition pickup truck will arrive at Ram dealerships this May with a starting price of $44,340, including a $1,195 destination charge. Bright yellow paint gives the special Ram 1500 a custom look and is patterned after the 2016 Ram 1500 Yellow Rose of Texas edition, which is only available in Texas. The Stinger Yellow Sport model has a limited production of 2,250 trucks, Fiat-Chrysler said on Monday. “The Ram 1500 Sport offers unique features for customers who enjoy aggressive styling and great performance,” said Mike Manley, head of Ram Truck brand, in a statement. Standard features on the Stinger Yellow Sport include a 395-horsepower Hemi V8 engine, eight-speed TorqueFlite transmission, dual chrome-tipped exhaust, vented sport hood and 22-inch wheels on 4×2 models and 20-inch wheels on 4×4 models. The truck is available in Crew Cab 4×2 and 4×4 configurations. Key Ram 1500 competitors include the Chevrolet Silverado, Ford F-150, Nissan Titan and Toyota Tundra. Edmunds says: Truck buyers are demanding a custom look, and this latest offering from Ram should check the right box for those shoppers. Ram has a reputation for creating the biggest, baddest pickups that build on a legacy of World War II troop trucks, Army command vehicles, Power-wagons, and more recently, posh pickups. They’re for people who are a little rebellious (or let people think they are). With in-your-face design and fortified capability, Ram Rebel appeals to country folk and urban hipsters alike. Rebel’s styling channels both the Ram Power-wagon and Lil’ Red Truck, missing only twin exhaust stacks running up the sides of the cab to fill the frame. The front view diverts from Ram’s traditional cross-hair grille and features a blacked out insert with Silver “RAM” lettered across. The tailgate gets its own giant block “RAM”. Power-wagon wheel arches and blacked out trim contrast with LED fog lamps, skid plates, and tow hooks. A faux twin-snorkel hood and 17-inch alloys with 33-inch tires look serious, but side steps would also add gravity. You may need to grab handles or keep a step stool in your purse to heave yourself up inside, but it’s worth the effort. Continuing the Rebel rousing, Radar Red and black seats are trimmed with canvas surfaces, diesel gray stitching, and Toyo tire tread pattern. Anodized red dash, door, and console accents stand in for wood grain. Especially with crew cabs, there’s plenty of room for four or five to stretch out and enjoy heated front seats, heated leather-wrapped steering wheel, navigation, and USBs all-around. The audio system will thump you silly, but you’ll have to adjust your own climate control. Clever storage abounds. Lockable and lighted “Ram Box” storage cubbies are integrated into the bedsides, bed tie-downs clutch ATVs, and a bed divider keeps camping gear from sliding — no matter the terrain. Inside, the deep front console can store laptops. There’s plenty of open storage with clever clips to hold MP3 players or phones. McGuzzler cups stay secure on the fly. Moving this tribute to youthful indiscretion is a standard 305 horsepower 3.6-liter V6 engine that achieves 25-MPG hwy. Skip it and get the tire-stomping 5.7-liter HEMI V8 that bellows out 395 horsepower and 410 lb.-ft. of torque. Two-wheel-drive is standard with the HEMI, but that’s pointless, so get electronic 4×4. Gas mileage really isn’t top of list if you’re buying a sumo-sized pickup, but cylinder deactivation and Chrysler’s Torque Flite 8-speed automatic transmission do what they can. That’s not the end of the Rebel’s capability. It’s a little big for tight trails, but should annihilate gravel and mud with a one-inch factory suspension lift that improves approach/break over angles, skid plates to protect the soft bits underside, tow hooks just in case, and off-road tires to claw through it all. Engineers tapped Ram’s optional air suspension to give drivers a range of ride heights. What works off road improves on-road comfort (to a point) — whether working the HEMI on open Interstate or crushing potholes. If trailering is in the plans, you’ll appreciate the integrated dash controller, pre-installed wiring, and heavy-duty hitch receptacle. Meant to elicit warm feelings for jacked-up pickups from your youth, Rebel’s style will raise the roof at your local roadhouse or cut a swath parking at the Children’s Museum (seriously, did it). From either destination, no matter the weather or terrain, you’ll know getting home will be no problem. If that’s rebellious, sign me up. Prices start at $43,170, but came to $49,330 as equipped. View Casey’s video review of the Ram Rebel and follow him on Twitter: @AutoCasey. 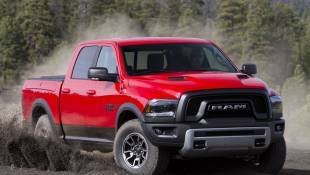 Another shot has been fired in the best-in-class war going on in the world of heavy duty (HD) pickup trucks and this time it’s Ram holding the smoking gun. For 2016, the American automaker’s big rigs are getting a new high output version of the 6.7-liter Cummins diesel engine that puts out 900 pound-feet of torque, a new height never before reached by HD trucks. With this configuration, Ram claims a best-in-class tow rating of 31,210 pounds and a best-in-class payload rating of 7,390 pounds. On paper, Ram’s HD numbers are mighty impressive, but in the real world, are those best-in-class claims justified? We had the chance to haul a 31,000 pound trailer packed with steel on a gooseneck trailer with the new truck to really see how the 900 lb-ft transfers to the ground. Ram also put us behind the wheel of the 3500 Laramie Limited to sample the height of its luxury lineup, all at the company’s test facility located in Chelsea, Michigan. Before we talk about how these trucks handled though, let’s discuss what it takes for this truck to get such impressive numbers. Three versions of the 6.7-liter diesel are available. The “weakest” setup is paired to a segment-exclusive six-speed manual transmission, putting out 350 horsepower at 2800 rpm and 660 lb-ft of torque at 1500 rpm. With the 68RFE six-speed automatic transmission, the Cummins diesel manages to make 370 hp at 2800 rpm and 800 lb-ft of torque at 1600 rpm. Finally, the 900 lb-ft version uses an Aisin six-speed automatic transmission, which allows the truck to churn out 385 hp. For this maximum power, it must also be a regular cab with two-wheel drive and a 4.10:1 rear axle ratio. 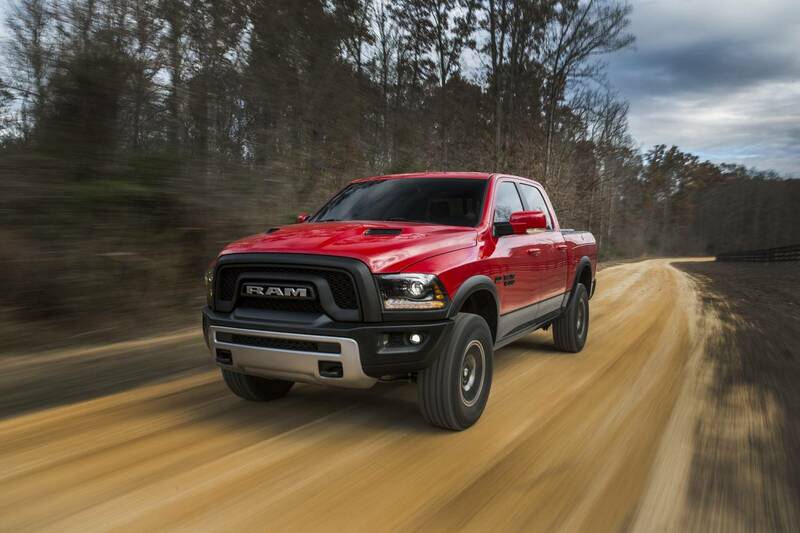 Not coincidentally, this is exactly the configuration that Ram let us drive around FCA’s Chelsea proving grounds, with a massive load of steel hitched to the gooseneck. Not surprisingly, the Cummins strains hard to get the massive, limit-pushing load on the move. While the 900 lb-ft claim jumps off the page when you first read it, my internal seat-of-the-pants dyno didn’t really feel the extra torque compared to last year’s Ram 3500, a truck I also had the chance to tow with quite a bit. Off all the Heavy Duty pickups, Ram’s 3500 has always felt like it is overrated when it comes to power and that hasn’t changed. The real-world acceleration of the truck doesn’t quite live up to what the numbers would suggest, taking a long run to get up to highway speeds. Expecting a load like this to jump to speed is ridiculous with just about any engine, but this is not something I would fancy towing on public streets for any length of time. Accelerating the weight may not be this package’s best feature, but controlling and stopping the load is handled well. The truck offers a heavy-set steering rack with a planted feeling that mixes well with heavy hauling. Cruising through corners and over uneven pavement didn’t upset this rig, staying well in control at all times. Braking also proves to be a strong suit of the Ram 3500. A three-stage exhaust brake is available and it makes a big difference. The first setting aligns the exhaust brake with the truck’s brakes, while the second setting activates that exhaust brake the second you lift off the gas pedal. Even with this big load, you can feel the back pressure provided by the engine helping to scrub speed and keep everything safe. The deep pronounced grumble of the exhaust brake sounds fantastic as well, an added bonus on top of its capability. Outside of actually handling at the limit quite well, this Ram offers some features which will help anyone who plans to tow trailers. Most notably is a camera mounted above the bed beside the high-mounted stop light, which serves two main purposes. First, helps you hookup a gooseneck or fifth-wheel trailer as you can monitor the hitch itself and line it up. It also acts as a cargo monitor, allowing you to check on either your hitch setup or on whatever you have in the bed without having to strain your neck. A prep package for fifth-wheel and gooseneck hitches is available with this truck as well, making life easier for customers looking to utilize the truck’s full pulling power with a bed-mounted hitch. To get the massive tow rating, the Ram must be dressed in base tradesman trim, which means the interior include cloth seats, a small four-inch display screen and no niceties found in most modern trucks, although it is still fairly comfortable and there are plenty of smart features, like a rather large storage bin on the floor behind the seats. Our day spent at Chelsea wasn’t just about this base heavy hauler though, as we also had the chance to sample Ram’s new luxury Heavy Duty pickup, the 3500 Limited. This luxury package is subtle in its execution, and comes across with the simple, well-though-out feeling of a German luxury car. A revised front grille, which is plastered in chrome, announces the Limited model, while the interior gets leather seats, real-wood inserts, contrast stitching and silver pin striping. Though some view it as a cheap truck option, the column-mounted shifter feels more suited to Ram’s large trucks than the knob-operated transmission found in the 1500. With the current industry-wide push into high price luxury pickups, the 3500 Limited will fit right in. This is one interior I wouldn’t mind spending eight hours in. Base pricing for a 3500 Limited model begins around $57,000, though a fully loaded model can easily crest the $70,000 mark. To get the version of the truck with the maximum tow rating, you’re looking at spending at least $46,500, not an unreasonable price for the amount of capability on offer. But getting those high tow numbers better be worth it to you, because they don’t come cheap. Getting the 6.7-liter Cummins diesel will cost you $8,995, while adding the Aisin six-speed that makes all that torque possible will cost you $2,595, for a total of $11,590 extra. I’m always quick to recommend the diesel to anyone who plans on doing any serious towing, as the dynamics of the engine will help keep you and your load safe and secure. This hasn’t changed. But bumping up to the six-speed Aisin is a move that’s hard to see the value in. Unless you plan on loading your truck right to the limit, which is something we wouldn’t recommend doing on a regular basis, the 22,000-lb tow rating of the lesser six-speed automatic transmission will probably be enough for just about every customer. Unless you truly need that added capability, it’s just not worth the money. Though 900 lb-ft of torque looks mighty impressive on paper, it didn’t have us blown away in practice. Still, we can’t deny that right at the limit, the 2016 Ram 3500 can still tow with admirable performance, controlling massive amounts of trailer weight safely. Nine hundred: That’s the amount of torque, in pound-feet, that is generated by Ram’s most powerful 6.7L Cummins turbodiesel available in the ’16 Ram 3500 Heavy Duty. This new figure puts Ram on top, for now, at the time of this writing, in the never-ending power race for light trucks. This engine helps the 3500 achieve a darn impressive 31,210-pound maximum tow rating (regular cab, 4×2, dualie, based on SAE J2807 criteria). Now before we go any further, let’s be clear that the high-output Cummins is available only in the ’16 Ram 3500. It’s also important to note that the engine is mated to an Aisin AS69RC six-speed automatic transmission. If you want a manual trans mated to a diesel, you’ll need to check the box for the 350hp/660–lb-ft Cummins. Wait, there’s more than one turbodiesel available? Yes. Just like the ’15 Ram 3500, there are three available versions of the Cummins 6.7L turbodiesel. In addition to the two already mentioned, there’s another version that puts out 370 hp and 800 lb-ft of torque and is mated to a 68RFE six-speed automatic transmission. Talk about choices. Oh, and there is also 5.7L and 6.4L Hemi gasoline engines available, depending on vehicle configuration, and these engines are mated to a 66RFE six-speed automatic transmission. We’re told that Ram engineering and Cummins developed a new fuel delivery and turbo boost calibration for the high-output Cummins, which helps uncork the additional 35 lb-ft of torque for the ‘16 Ram (horsepower remains the same as the ‘15 Ram at 385). The stout Aisin AS69RC transmission is carryover from the previous-generation truck. Ram engineers beefed up the rear AAM 11.8-inch axle by increasing the ring gear hardware from 12 to 16 bolts. Ram says the additional hardened bolts and stronger material are used in the differential case to assure long-term durability. But wait, there’s more. You see, the Ram 3500 is packed with features designed to improve towing power and control. For example, there’s an exhaust brake on the Cummins, Ram Active Air (this system can draw air from either the front of the vehicle or from an underhood inlet, depending on temperatures and conditions), and an available supplemental Active-Level rear air suspension (works in conjunction with the 3500’s Hotchkiss leaf-spring rear suspension, and it allowed Ram engineers to soften the leaf springs, which allows for more suspension movement when the vehicle is unloaded). We were recently invited to Chrysler’s Chelsea Proving Grounds to tow with the new 900 lb-ft Cummins in a Ram 3500. We spent most of our time in a SLT regular cab 4×2 longbox dualie pulling a triple-axle gooseneck trailer that weighed in at 31,135 pounds, which is just a hair under the truck’s maximum towing capacity. Aside from the 900–lb-ft Cummins engine, the Bright White 3500’s option list included 4.10:1 gearing, 5th- Wheel/Gooseneck Towing Prep Group, and 17-inch aluminum wheels. The total price including options and destination charge was $51,185. The story here is torque, and the high-output Cummins didn’t disappoint. As we accelerated to highway speed (tow/haul mode activated), the pull of the Cummins was impressive. The turbodiesel makes its max torque at only 1,700 rpm, so it felt like a brute off the line. While clearly feeling powerful, said power came on smooth, which is important when safely towing or hauling loads. At speed, the truck handled very well and the engine settled into a low growl as it easily sustained the truck and trailer at 70 mph. Handling was very good even through sweeping turns at speed (full disclosure: the weight on the trailer was almost all at deck level, so it was a low center of gravity). Our big concern was stopping: The 3500 is fit with big four-wheel disc brakes (14.17×1.54-inch rotors up front and 14.09×1.34-inch rotors out back, both with twin-piston calipers), but over 15 tons is a lot of weight, and as we sailed along at speed, we wondered how decreasing our velocity was going to go. As it turned out, we needn’t have worried. The wide-ratio Aisin transmission and engine exhaust brake worked to help slow the rig, which significantly reduced the amount of brake pedal pressure we needed to apply. The result was a smooth, controlled reduction of forward momentum. We were glad that we got to tow the maximum load because if the high-output Cummins-equipped Ram 3500 can confidently pull, control, and stop that much weight, it stands to reason it can handle anything under that weight with ease. In the end, we left the Chelsea Proving Grounds impressed by the performance of the new high-output Cummins and the truck it’s in. We’re looking to get more towing and hauling time with the new King of Torque, so stay tuned. We spent most of our time in a Ram 3500 regular cab 4×2 dualie powered by the 900 lb-ft Cummins turbodiesel. We were towing a triple-axle gooseneck trailer that had a total weight of 31,135 pounds. This weight is only 75 pounds shy of the maximum towing weight for the truck we were piloting. The 6.7L Cummins turbodiesel comes in three versions for the ’16 Ram 3500. The first generates 350 hp and 660 lb-ft of torque and is mated to a G56 six-speed manual transmission (shown here). The second makes 370 hp and 800 lb-ft of torque and is mated to a 68RFE six-speed automatic transmission. And of course, the third version is the most powerful that produces 385 hp and 900 lb-ft of torque. The interior of the Ram Heavy Duty places the tow/haul and Active-Level rear air suspension switches in the center stack, while the manual shift control for automatic transmission–equipped trucks is on the shift lever. In addition to the Ram 3500 with Cummins high-output engine towing 31,135 pounds, we also had the opportunity to tow and haul with several other Ram trucks, including the 1500 EcoDiesel, Ram 2500, and Ram 5500. Some of the trucks were equipped with trailers, some were hauling cargo, one had a dump box, some were single rear wheel, and some were dualies. Trailer weights ranged from 5,800 pounds (Ram 1500) to 27,675 pounds (Ram 3500). Cargo weights included 2,500 pounds (Ram 2500) and 6,000 pounds (Ram 3500). In each case we were impressed at the power and manners of the trucks. There’s no doubt they’re designed to be work-ready. We also found that we really liked the Active-Level rear air suspension. We’re fans of aftermarket setups like this, and some of us have ’em in our own trucks. The ability to get this functional setup installed and plumbed from the factory is a cool deal. Head over to fourwheeler.com to see video of some of these rigs recorded at the Ram Truck Heavy Hauler Program.